"Adversity is like a fire that rather than destroying you, can refine, strengthen, and beautify you." "It's not about the horse." Family Focus started as a collaborative effort to address the mental health needs in Baton Rouge in a relaxed, family-oriented, and collaborative way. 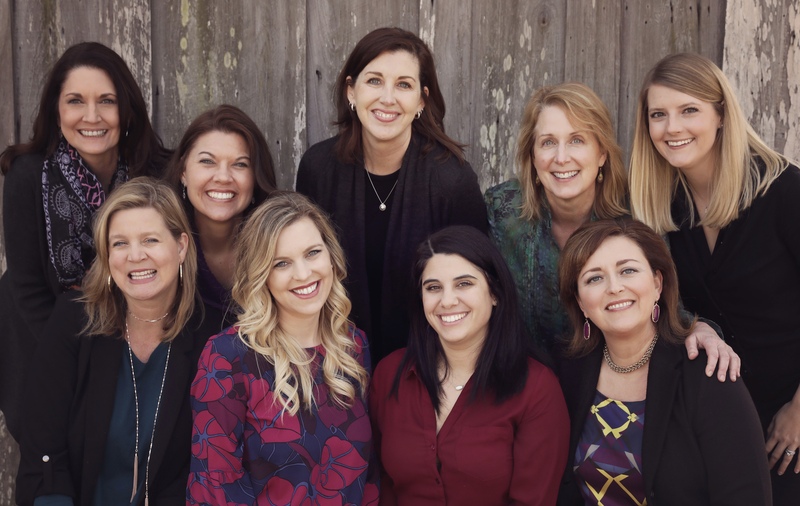 While many of the practitioners have an extensive background in mental health, our Family Focus Family has been serving the Baton Rouge area for the last eleven years. We currently have five prescribers and four therapists - all having different personalities and areas of expertise. We feel priviledged to be able to do what we love in such a warm and inviting environment. We look forward to meeting you where you are and assisting you in making strides toward the places you want to go. Misty Cody Sharpe is an amazing, psychiatric provider. She has been an enormous blessing to her patients and greatly improved their symptoms. 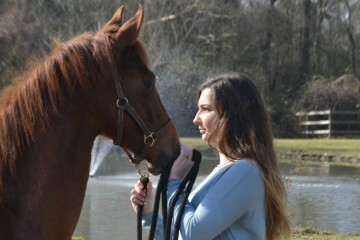 I recently participated in the equine therapy program and was amazed at how much personal insight I gained from the session. The facilitators were obviously very well prepare and skilled at helping participants connect the overall experience to real life. I highly recommend the program and the therapists. Superb therapists, office staff and atmosphere. Highly recommend. Very kind and compassionate group of professionals. The staff is very accommodating, as well. I highly recommend the equine therapy! It was relaxing, rewarding, and the professionals were so kind and helpful. What can I expect in the first session when I see a provider? Clients are asked to complete a phone intake prior to the first visit so that you can be placed with an appropriate provider given your initial concern. During the first visit with that provider, you will be asked many questions so that we can have a chance to get to know you and especially the issue that caused you to come in. We want to be able to efficiently but also compassionately address the most pressing concern while also making you feel comfortable and understood. While we are not in-network providers for any insurance companies, there is potential for reimbursement. We provide detailed receipts that can be submitted to your insurance company. If you have mental health coverage, these may work toward your deductible or may be eligible for some reimbursement once your deductible is met. Each plan is different, so coverage options differ from person to person. If you would like to consult your insurance company for more information about "out of network reimbursement," please get in touch with them to assist you with more information about this topic. What is the difference in a Psychiatrist and a Nurse Practitioner when it comes to being a prescriber? Here at Family Focus we combine the talents and training of psychiatrists, psychiatric nurse practitioners, psychologist(s), social workers, and licensed professional counselors. While many of you may be familiar with these professions, some may not be clear on the role of the advanced practice registered nurse, more commonly referred to as nurse practitioner (NP). A registered nurse is someone with an Associate (2 year) or Bachelor (4 year) degree of Science in nursing. An NP is a BSN who completes an additional 2-4 years of training to earn either a Master of Science in Nursing or a Doctor of Nursing Practice. NPs must pass a national board certifying exam to practice. In many states NPs practice independently and are able to prescribe medications within their area of expertise. 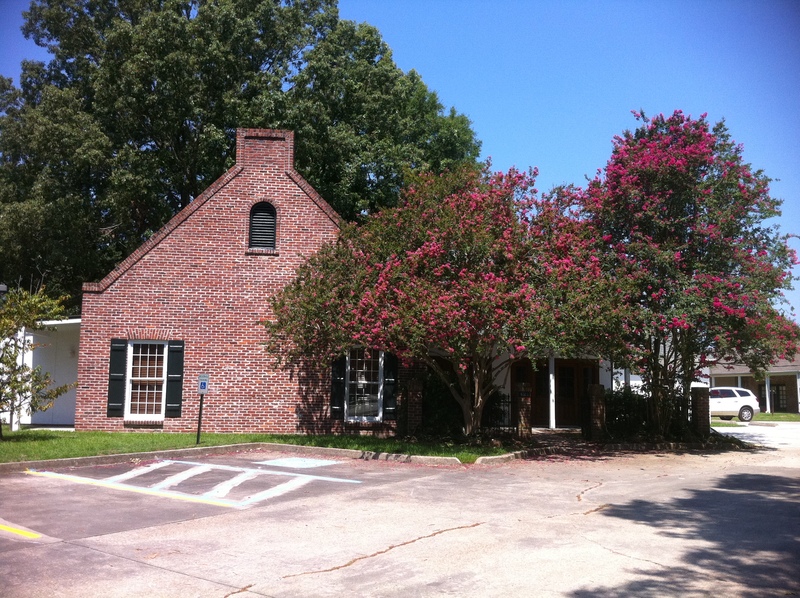 In Louisiana, NPs work in collaboration with physicians. A psychiatrist has 4 years of undergraduage education, 4 years of medical school and a 4 year residency in psychiatry. They must also pass an examination to be a licensed physician and must pass additional examinations to be board certified in their area of expertise. At Family Focus, a new patient is offered the opportunity to see either a psychiatrist or an NP during the phone intake process. The service provided is the same, and both have extensive medical training. We're so please to be able to offer this option. How does healthcare provided by an NP compare to standard medical care? Evidence shows NPs provide primary care as well as physicians with high levels of patient satisfaction and equal or better outcomes. Have you ever been frustrated with how long it takes to get an appointment? NP have been around since the 1970s to help meet the growing need for providers. The National Governors Association Center for Best Practices, as well as the Institute of Medicine, recognize the importance of NPs to improving access to healthcare and favor full autonomy for these important members of the healthcare team. If you have any questions about what an NP does or whether a physician or NP is best for you, feel free to ask! What types of issues do you address? I see that you list Infant Mental Health as a service – what is that? Lori Heroman, MA, LPC is our Infant Mental Health Specialist. She is a counselor with specialty training geared toward treating children ages 0-5. Infant Mental health, promoting mental, emotional, and social development during infancy, has become one of the most important fields in early childhood. Infant Mental Health specialists work to support the emotional health and development of infants, toddlers and their families. They do this by working with the child and parent in a form of therapy called Parent/Child Psychotherapy. It not only supports the relationship between child and parent/caregiver but also provides education to the parents on how to address any behavioral difficulties. It is especially helpful in adoption, foster care, disrupted family, and attachment situations. Children who remain emotionally intact during difficult situations are much more likely to have a good outcome with fewer mental health issues as adults. This is a great question we get often. I think it's important for people to understand what they're paying for - both here at Family Focus, and at other practices, especially since we do not take insurance (see other FAQ about insurance). Our services are covered with the payments for the appointments. People often need additional services such as letters, completion of school or disability forms, collaboration with therapists, referrals for additional treatment, emails and phone calls about clinical or medication issues, working with insurance companies to get you the right medication whether this involves a prior authorization or an appeal, working with pharmacies regarding refills between visits, interpreting genetic testing results and labs, and a host of other behind the scenes interventions. Each practitioner here has elected to waive any potential fee for these "extras." It's considered part of our service to you, our client. Our prices may be a little higher than other clinics, but we use these appointment fees to cover time we spend on you even outside of the appointment. Many other clinics/clinicians charge for these services in addition to your visit, and it's not always discussed until you need it. I recently paid hundreds of dollars for letters to be written on my child's behalf by a community advocate without realizing there would be a fee. Sometimes clients may get upset when we charge for missed visits without 48 hours notice. We don't enjoy doing this either, but we do not double-book appointments like many other doctors do, and we use these fees to help facilitate all of the other behind the scenes advocacy that we provide for you. We care very much about getting our clients the best medications at the best cost, and helping to facilitate school accommodations, absences from work, etc. We are happy to do it, and visit costs are how that's covered. Please feel free to ask your clinician more about this. We'd love to talk with you about how we operate and what your fees are used for. We appreciate you and want you to be informed!!! 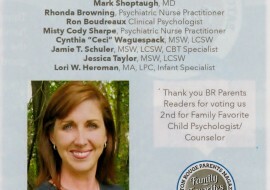 Thank you for BR Parent Magazine Family Favorite Award! Family Focus and the mental health care professionals associated with it strives to meet your family's needs by addressing issues of children through adults in a warm and caring atmosphere. We are happy to be a resource for your family - serving the mental health needs of all members, young and old, with compassion and kindness.